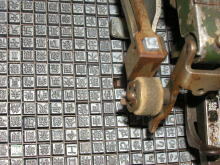 The actual strikers that produce the type are all separate metal pieces, somewhat like movable type, arranged in a grid in the tray (1) beneath the typewriter. 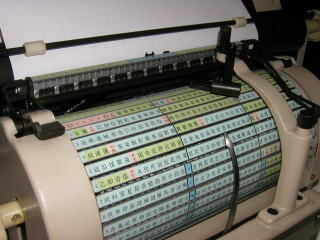 A handle (2) on the typewriter is used select the character to type from the list (3) of characters shown at the front of the typewriter. 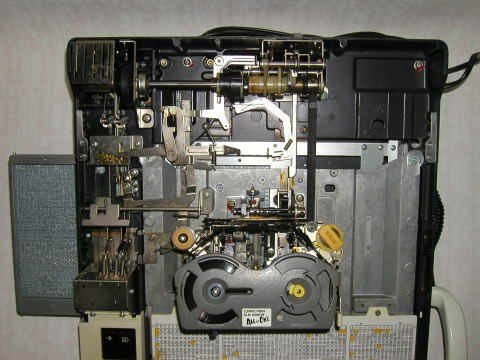 This handle is directly connected to the tray, and moves the tray relative to the fixed striking mechanism within the typewriter. 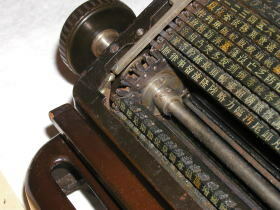 The part labeled number 13 on the right side is the striker handle, and connects all the way through to the roller (number 19) on the left side. As 13 is pushed down, 19 lifts up, pivoting the long bar (20) under the typewriter and pushing the striker (32) out into the hammer. As 13 is pushed further, 19 continues rising, pushing into part 24, which locks the striker into the hammer, and then strikes the hammer onto the platen. 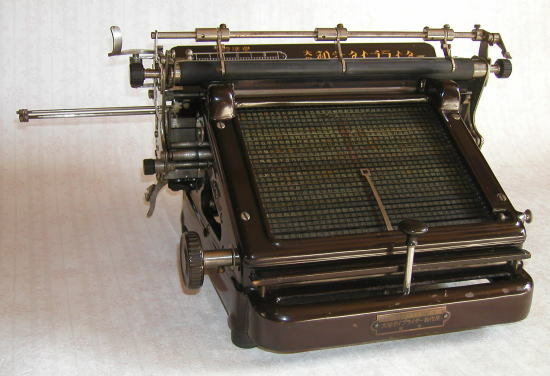 One of the things that made the typewriter difficult to use was getting the strike lever force correct. 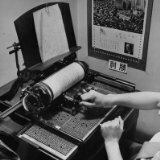 If struck with even just regular force, characters such as decimal points or punctuation would pierce the ribbon and paper, becoming stuck in the rubber platen. 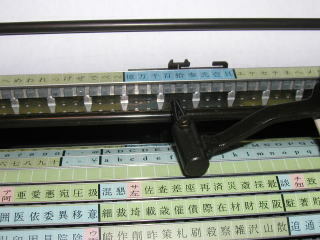 On the other hand, very complex characters (such as 曇 or 驚) required striking with additional force to compensate for the large surface area of the typeface. 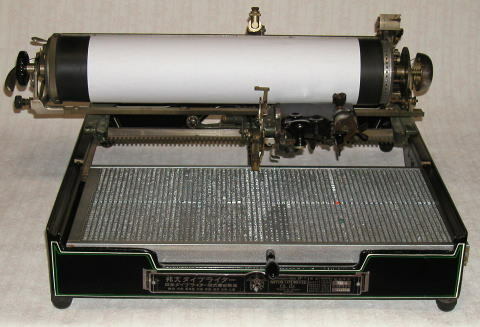 This combined with the huge number of characters (which makes hunt and peck typing on a QWERTY keyboard seem trivial) meant that only experienced operators could use these typewriters. 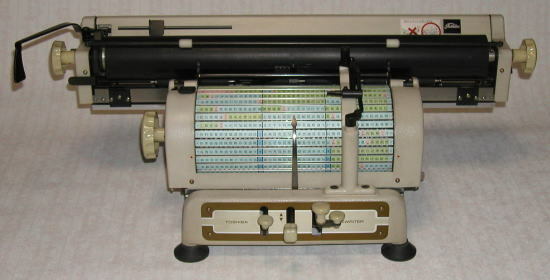 In this 1928 model, a tractor-like mechanism is used in the character selection method. 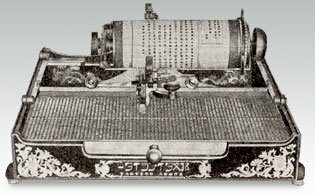 The dial at the front-left scrolled through the characters much like the caterpillar tread on a bulldozer. The price of this model was 190 yen, equivalent to approx. $US6000 in modern currency. 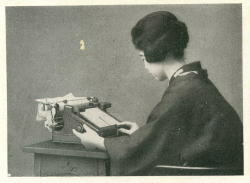 (Note: Remaining photos reproduced with permission from 和文タイプライター　日本語タイプライター (Japanese only)). Here, we can see how it was used. 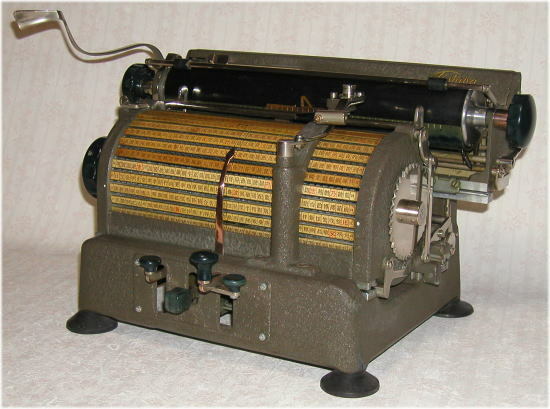 The following 1942 model uses a felt roller to apply ink instead of an ink ribbon. The compact striking mechanism still retains much of the original 1915 design. 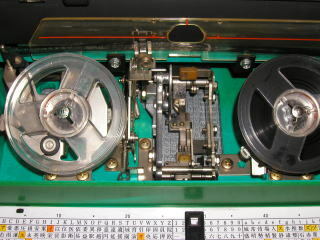 Another advance was the drum selection mechanism, as can be seen in this 1955 model by Toshiba. 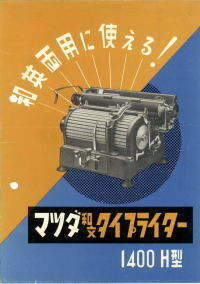 The advertising boasts that it can handle both Japanese and English. 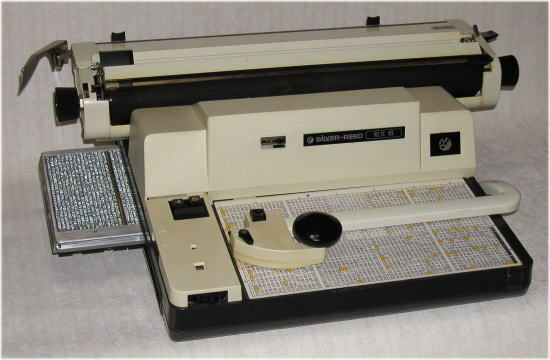 And finally, a Toshiba model from 1981. Here the strikers are attached to the selection strips by springs. Once a particular strip has been selected out of the drum, the hammer swings around from behind to force the striker into the ink ribbon and paper. Eventually, models were developed that used electrical striking mechanisms. This required a return to the tray of strikers design. 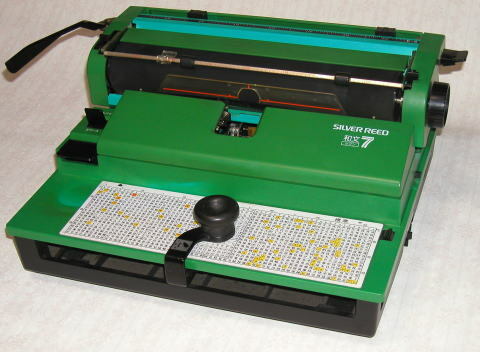 The following models are from the 1980s. 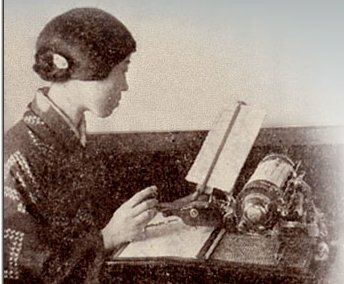 Although Japanese typewriters are no longer manufactured, the company founded by Kyoka Sugimoto to manufacture his invention, the Nippon Typewriter Company (日本タイプライター株式会社), continues to exist in the form of Canon Semiconductor Equipment. 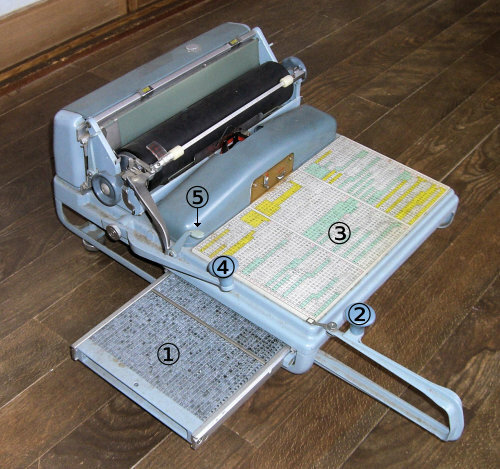 Now I am living in Japan and I want to buy japanese type writer. Do you know where can I buy one??? or there are a museum that I can see this objects?